HOLLYWOOD — Helen Witty knows the pain of losing a child to a drunk driver; in 2000 her 16-year-old daughter was killed while rollerblading by a teenaged driver under the influence of alcohol and marijuana. 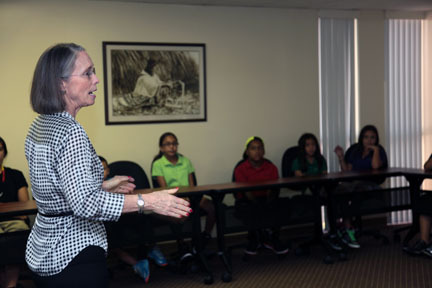 As a Miami-based program specialist and victim advocate for Mothers Against Drunk Driving (MADD), Witty puts her pain to good use by speaking to groups of kids to spread awareness and educate them about the consequences of driving under the influence. 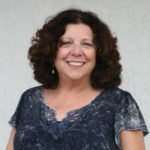 She tells the story of her daughter, Helen Marie Witty, who used to rollerblade almost every day. The day of the tragic accident was no different from any other, at first. A group of Police Explorers in Hollywood listened Oct. 8 as Witty told her story. The 17-year-old driver, Carla Wagner, had been celebrating the end of the school year with friends, a bottle of tequila and some marijuana. Wagner was convicted and sent to prison. As part of her sentence, she was ordered to speak at high schools, starting with Witty’s daughter’s school. After she served her prison sentence, Wagner was deported to her native country, Panama. The mission of MADD, founded in 1980 by a mother whose daughter suffered the same fate as Witty’s, aims to stop drunk driving, support victims of the crime and prevent underage drinking. MADD is also a victims’ services organization that helps one person every eight minutes, at no charge. Witty talks to groups of children often in an attempt to protect them, although she knows she cannot. What she can do is help them protect themselves by giving them information about alcohol. “I think if they get the information maybe they won’t get into a car when someone has been drinking. But they will be making the decisions,” Witty said. She urges children to stay sober because alcohol damages developing young brains. After clearing the room of the younger Explorers, Witty showed a graphically intense Australian video re-enactment of car accidents and the events leading up to them. It showed groups of happy young people getting together in various situations, all drinking beer before getting into a car. The results were tragic in every case. Stuart Flacks, a victim of a teenage drunk driving accident, told his story to the group next. In 1981 he was a passenger in a car driven by a friend. Both of them had been drinking. Permanently disabled by the accident, Flacks spent three months in a coma and a year in the hospital after the accident. He now has brain damage and other disabling injuries. His femur was broken, as well as his shin bone; today that leg is a few inches shorter than the other, causing him to walk with a limp. Although his speech is difficult to understand – the soft palette in his mouth and throat was severely damaged and had to be surgically rebuilt – Flacks was able to get his point across. The Explorers listened carefully and seemed to take his message to heart. The ultimate goal is that the message of MADD conveyed during the meeting will be remembered when the young Explorers are old enough to drive.